Monday, May 7, 2018, 6 – 8 p.m.
Come join the ASUW Student Food Cooperative for a community celebration of local, sustainable, ethical, and delicious food! 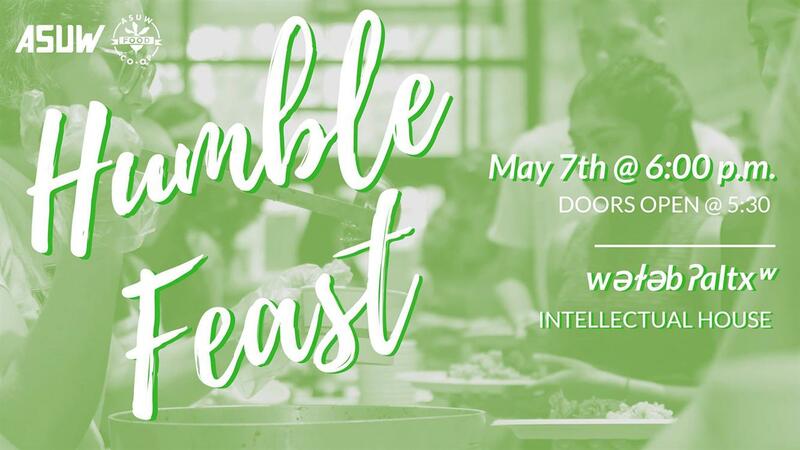 Humble Feast is a bi-annual dinner hosted by the ASUW Student Food Cooperative. The lovely members of our co-op come together to cook a healthy and affordable meal for our community. Come think critically about how we eat, make some new friends, and enjoy some super fun crafts + activities. Tickets are $5 pre-sale online or $7 at the doors. What's on the menu, you ask? As always, Humble Feast is vegan and gluten-free (V + GF) friendly!